An influential right-wing think tank has been given an official warning by the charity watchdog after a high-profile report calling for a hard Brexit was found to have broken charity law. Last November, the Institute for Economic Affairs (IEA) was forced by the Charity Commission to withdraw its “Plan A+” report, originally launched by arch-Brexiteers David Davis and Jacob Rees-Mogg. It also deleted tweets publicising the report and its launch event. The report, which called for the UK to drop EU-style regulations, was hailed by Brexiteers as an alternative to Theresa May’s proposals for the UK’s post-Brexit trading future. The commission has now issued an official warning over the report and its launch event, which it said broke charity law by campaigning for a “particular approach to the UK’s exit from the European Union” in ways that go beyond the IEA’s remit as an educational charity. By providing a platform for pro-Brexit MPs to “launch an alternative plan” for Brexit, the report’s launch event “clearly constitutes political activity” and was “an inappropriate use of charitable resources”, the commission found. The watchdog demanded written assurances from the IEA’s trustees that it “will not engage in campaigning and/or political activity that contravenes legal or regulatory requirements”. Trustees must also vet future reports and launch plans to ensure they fall within charity rules on political balance and neutrality. 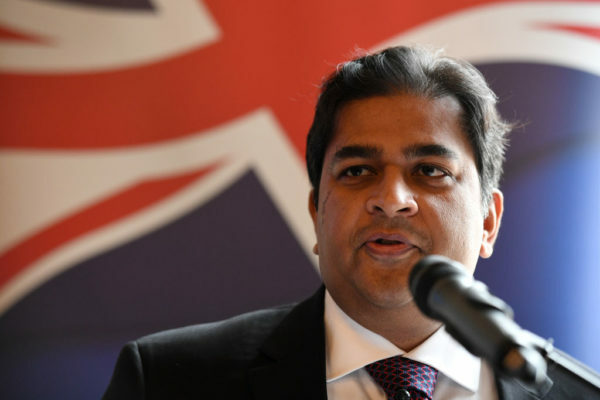 On Monday the author of “Plan A+”, IEA trade expert Shanker Singham, reportedly attended a meeting at the Cabinet Office of the prime minister’s alternative arrangements working group, alongside Brexiteer Tory MPs including Owen Paterson, Steve Baker, Iain Duncan Smith, Marcus Fysh and Theresa Villiers, as well as Remain-supporting MPs Nicky Morgan and Damian Green. The working group is exploring an alternative to Theresa May’s plan for withdrawal from the EU that echoes a separate report by Singham, published in December, titled “A Better Deal”. The plan, nicknamed the “Malthouse compromise”, aims to avoid the most unpopular aspect of May’s plan, the Irish backstop. 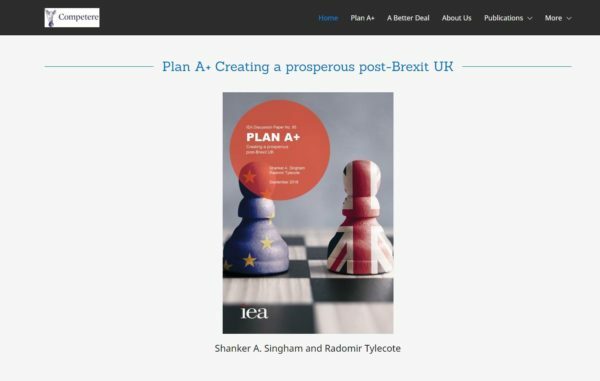 Singham has since re-published the “Plan A+” report, with the IEA’s logo, on the website of his company, Competere, together with the “A Better Deal” report. The IEA has been under investigation by the Charity Commission since July, when an undercover investigation by Unearthed raised concerns that the IEA’s work on Brexit may have broken charity rules by campaigning for a specific policy outcome – hard Brexit and a US-UK free trade deal. The IEA withdrew the “Plan A+” report after being contacted by the Charity Commission in November, and announced it would be setting up a non-charitable wing to allow it to continue to make “firm policy proposals”, its chair of trustees Neil Record said. Figures published last week show the warning is a relatively unusual step: up to September 2018 the commission had issued only six such official warnings since gaining the power in the Charities Act 2016. If the charity’s trustees fail to act on the watchdog’s warnings, the commission could forcibly suspend trustees or appoint managers.